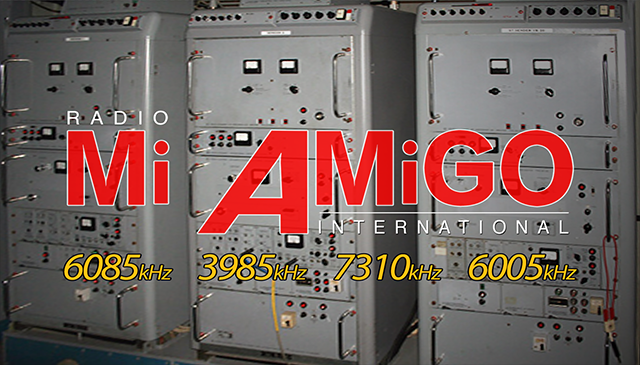 Our Shortwave programs are transmitted from a site in the Eifeldorf Kall-Krekel, Germany. Several AM, FM, TV and these 3 all-purpose 1Kw Rohde & Schwarz SK1 transmitters and antenna's are situated in a former police radio station, now in private hands and operated by our partner 'Shortwaveservice'. The 6085 kHz and 3985 kHz signals serve Central Europe whereas the 7310 kHz signal usually reaches out further to the North and Southern parts of Europe. Reception varies throughout the seasons and largely depends on atmospheric conditions. There where occasions where we received reception reports from as far as India. (Before we had our own frequency of 6085 kHz we were on this 6005 kHz TX - all the way left.